Everyone knows building a campfire can be tricky and no one wants to spend precious time being frustrated over a stubborn campfire. We will make it short and sweet; so you can get that fire started and let the good times begin! It's really quite a simple process once you understand the basic principle. Making sure these items are 100%dry is a must. Firestarters - Store bought fire starters, thin dried limbs, crumpled up newspapers, etc. Fuel Logs - This is your firewood. It will be what keeps your fire burning. Now, once you have all of these items gathered you can begin the process. If you follow these steps, one by one, you will be able to get your fire going in no time. The key to keeping your fire burning is to keep it hot and active. Toss on a piece or two of firewood whenever it starts to slow down a bit, always making sure to keep them up out of the ash and coals. If logs fall flat, use some long barbecue tongs or a fire poker to re-arrange them. Every camper knows if you don't properly take care of a campfire, it can cause dangers for the entire area. If conditions aren’t right, your fire can ruin someone else’s trip (or your own). If it’s windy, embers and sparks can burn holes in awnings or worse. If the smoke is wafting over to someone else’s site, your fire isn’t hot enough, or the wind is just not on your side. 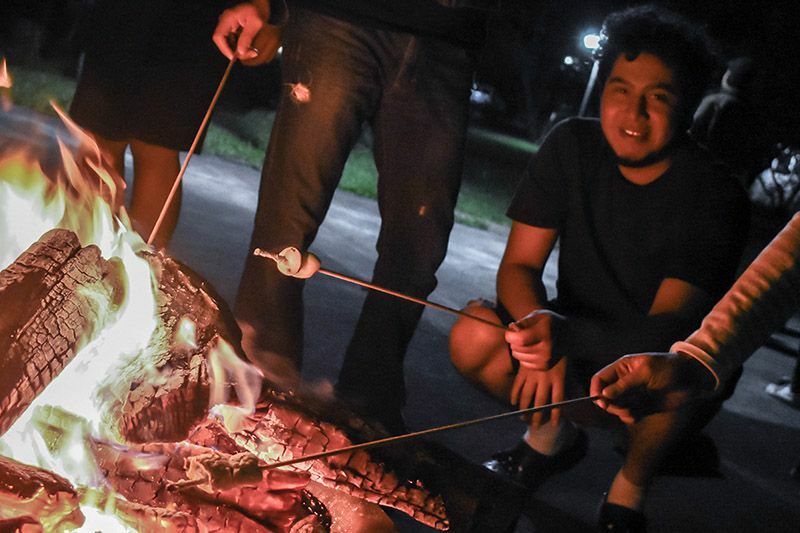 Your neighbors should expect the smell of campfire, but they shouldn’t be smoked out. Be considerate of your neighbors. Always douse the fire with water when you are done with it, and never go to sleep with a fire you assume has burned itself out.